" I try to find positive things out of it," 390th District Judge Julie Kocurek said. "It’s made me as stronger, better person as a whole." 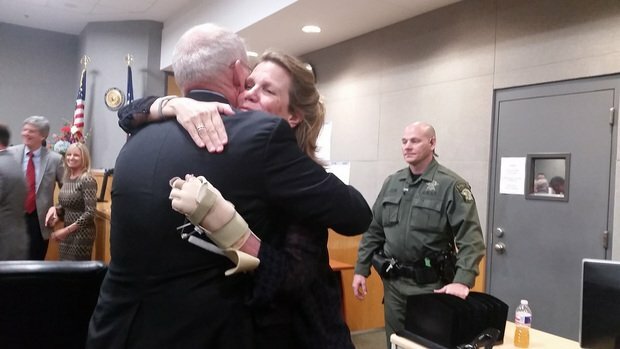 It’s a story well-known to Texas lawyers and judges, but now this Saturday, people nationwide will learn how 390th District Judge Julie Kocurek of Austin survived a horrific shooting by a criminal defendant late at night in 2015. The judges perpetuate “a culture of fear” among lawyers who think their clients will face punishment if the lawyers complained about the judges’ behavior. The Eighth Circuit case tests the reach of Title VII, and the EEOC backed the employee. The U.S. Supreme Court is weighing whether to hear two cases that contend Title VII does include protections against sexual orientation discrimination.